Celebrate the Spring Harvest with Glad - Frugal Mom Eh! I love spring and it seems this year we’ve skipped right from winter into hot summery weather for the most part. There is nothing I love more than opening my windows and enjoying the breeze come in from outdoors, refreshing the house as it passes through. Well, nothing more than the fresh local berries that will soon be appearing on grocery shelves. We’ve really been craving berries lately and have been eating an astonishing amount of fresh fruit. Unfortunately, although we tend to get to them pretty quickly, they do seem to get icky pretty quickly if you don’t get to them and store them properly. There is nothing worse than bringing home a pint of fresh berries only to have them go bad within a few days. Wash and dry your berries then lay them on wax or parchment paper on a sheet pan in a single layer. Freeze for several hours before transferring to a GLAD Freezer Zipper bag and storing in the freezer. Make a quick and delicious freezer jam and store safely in GLAD Freezer Zipper Bags or GLAD FreezerWare Containers. Wash and dry berries, trim any greens and slice as necessary then simply store them in an air-tight GLAD Food Storage container for family-friendly snacking or use GLAD Snack or Sandwich Zipper bags for portioned snacks for the kids. We regularly use GLAD products around our home from preparing lunches to storing left-overs because quite frankly the quality is unbeatable. We’ve tried off-brands before and all you end up with is plastic wrap that doesn’t cling, zipper bags that don’t seal properly and freezer burn all over anything in the freezer bags. Suffice to say, we are very brand loyal to GLAD because we know we won’t end up wasting our food as it will be stored properly. 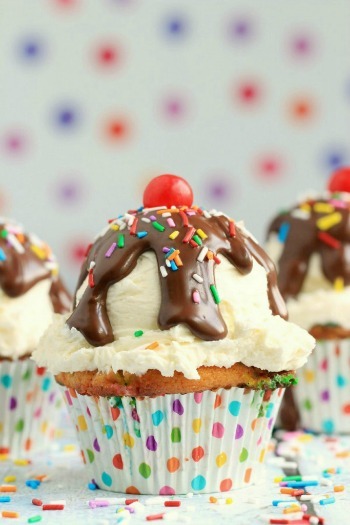 If you aren’t aware of all the amazing GLAD Food Protection Products available, read on! Unlike traditional cling film and plastic wrap, Press ‘n Seal wrap actually seals to multiple surfaces including glass, wood and plastic. In an instant, you can create custom shaped bags to store and freeze food in individual portions, and it goes from the freezer to the microwave with no problems at all. Keep food fresher, longer with tight-hugging GLAD Cling Wrap! This plastic wrap is easy to handle and microwave-safe, so you can defrost or reheat food as you please. Expect the tightest possible seal for the freshest food ever. GLAD Sandwich Zipper bags make food on-the-go a breeze! The wide, double-lock zipper seal closes securely for complete protection, yet the bag is still easy to open and close. Plus, food isn’t the only thing GLAD bags are good at protecting. Use them to organize household items and pack small items for travel. These resealable bags are the perfect, no-hassle solution to leftovers. GLAD Food Storage Zipper Bags feature an extrawide seal that locks tight every time, so you can keep items fresh in your fridge or kitchen cabinet. Don’t trust your food to just any freezer bag. GLAD Zipper Freezer Bags are built with thick plastic and a tight seal for optimal freezer burn protection. Plus, the zipper is yellow on one side and blue on the other to help eliminate guesswork. When the zipper appears green, the bag is officially closed and ready to face the freezer. Freeze. Heat. Serve. 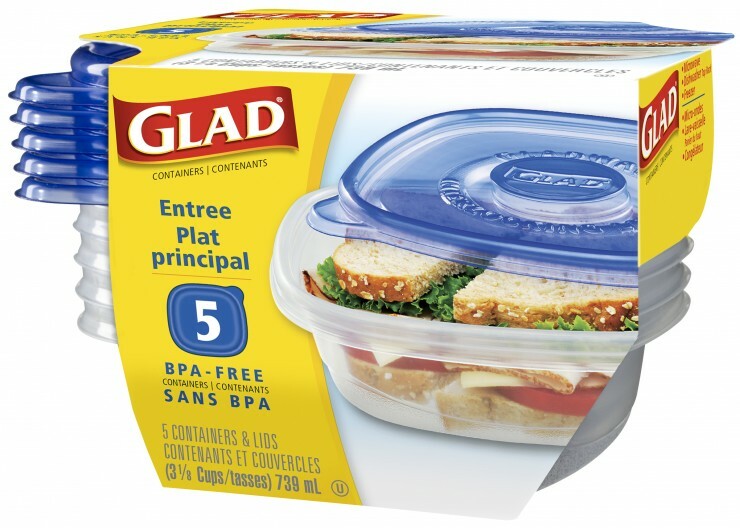 GLAD FreezerWare containers are BPA-free, resist cracking and lock in freshness for weeks to months at a time. Interlocking lids help seal in freshness and prevent messy leaks. 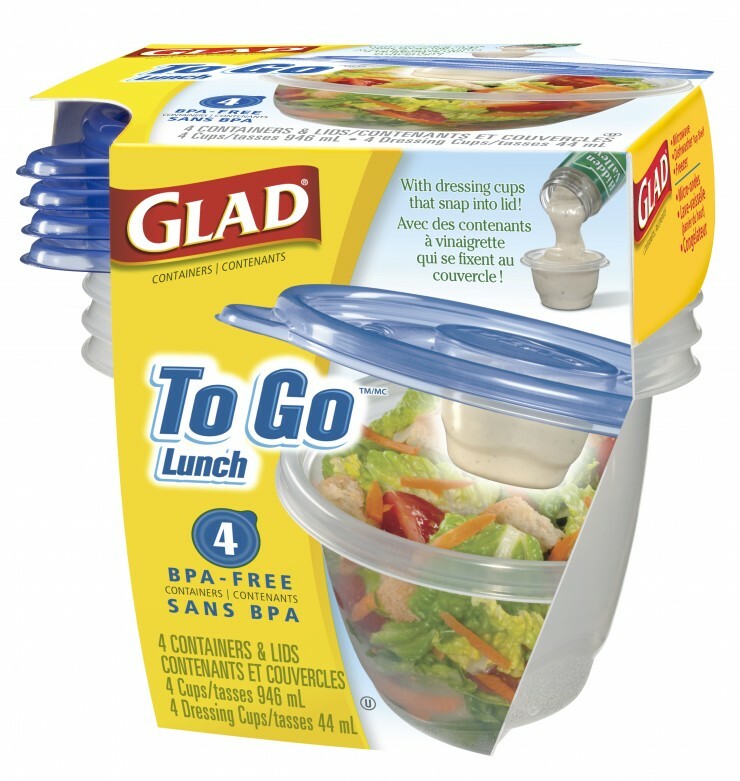 The all-in-one GLAD To Go Lunch Container makes it simple to pack combos that you want to keep separated, like salad with dressing or veggies and dip. Each container features a large reusable plastic container, along with a dressing cup that snaps into the lid – perfect for holding condiments or toppings. 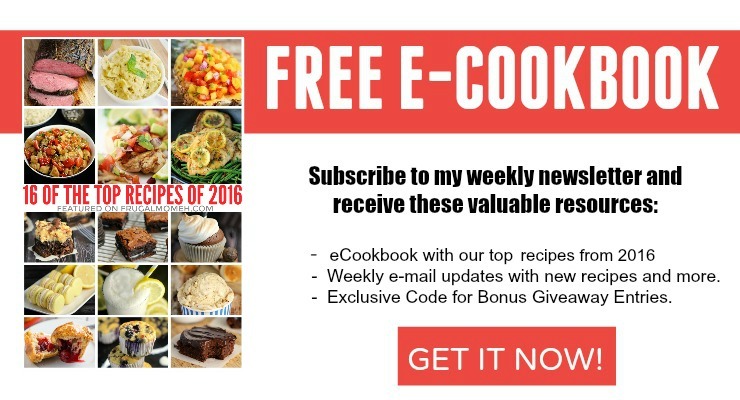 It’s easier than ever to portion out meals at home, and prep on your desk at lunchtime. 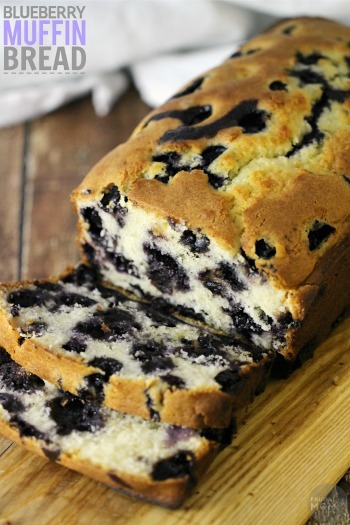 For more food storage ideas and information, check out the GLAD Website and connect with GLAD on Facebook! Disclosure: This post has been brought to you by GLAD. All thoughts and opinions are honest and my own. We always use Glad in the freezer…..totally looking forward to the fresh raspberries that grow out back. Last year there were so many, we got a good stock pile in the freezer! Hoping to get them before baby girl eats them all, she loves going to pick her breakfast lol. I love Press and Seal. I use that stuff all the time. I really like that they preserve my food fresh for a long time and the containers would be perfect to take with me at lunch. Thank you. I really like Glad products. The reusable containers are the best. I like the little baggies for small portions too. I don’t garden, so I don’t preserve anything. These would be great for those who do though. I freeze so many things so I always have extra containers and freezer bags on hand. Frozen fruits are awesome for smoothies too. I will have to try glad Tupperware or bags for my berries. Last year we froze some and they tasted terrible after freezing. I wonder if glad would help! I love glad products. I can buy them at the Dollar Store cheaper than Walmart with coupons. we love packing picnics during this time of year. We always use glad! Those berries look yummy in that glad bag!! Glad is the only brand I trust when it comes to trash bags and baggies!! Glad freezer bags work brilliantly! I’ve used Glad for years! 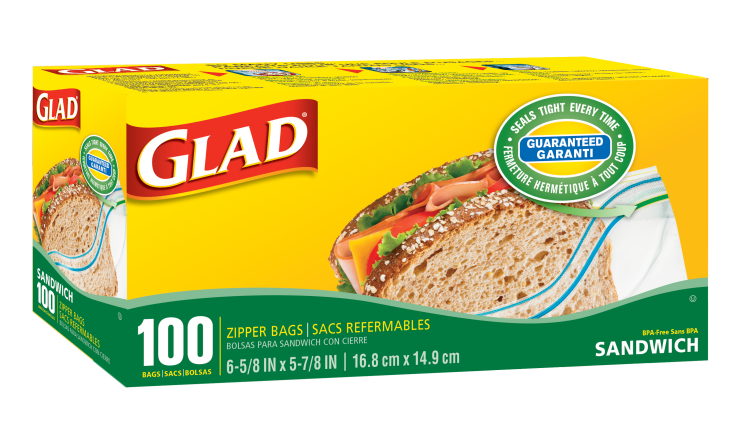 I once tried the store brand bags and immediately went back to Glad. Their products are great! I’m a big fan of Glad and their products! We use them all the time! I can always count on Glad. I buy this brand often. Specially the bags. I need to be getting some more baggies soon so I can freeze some produce from my garden. 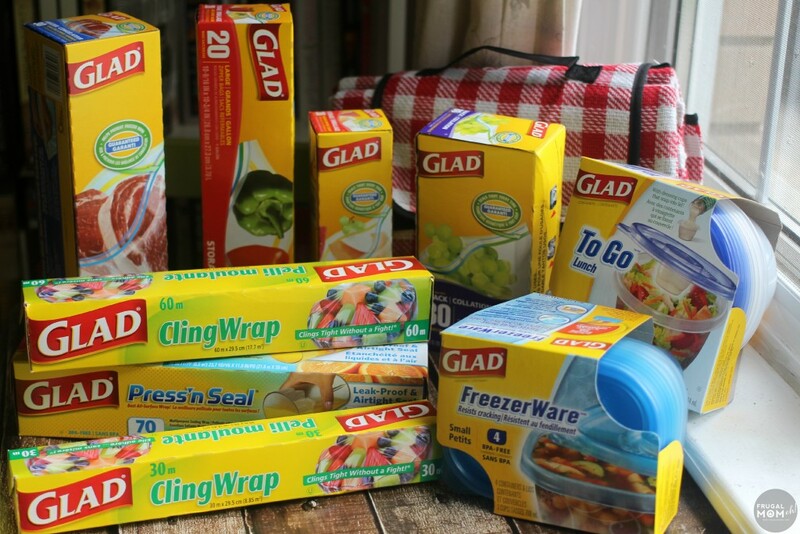 My household uses Glad for garbage, snacks, leftovers-everything! It is truly a trusted brand. My mother used to always use these bags for our school lunches. I never thought about using them to freeze things before, it’d actually be really handy. I use to love using Glad and not sure why I don’t anymore? I will have to pick up some of their products this weekend. Glad makes fantastic products. 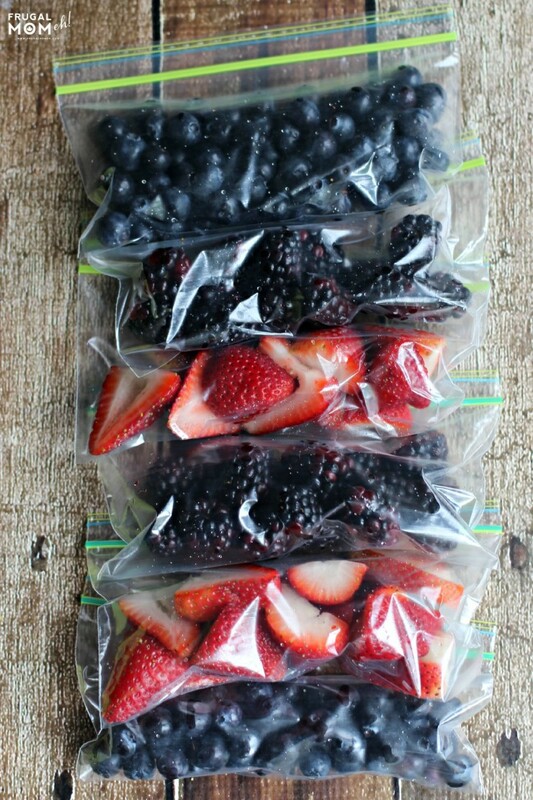 I use the freezer bags for all my berries. The cling wrap never lets me down. We love using Glad, it’s our favorite brand inthe kitchen. I also use the bags to freeze veggies and fruits. I seriously can’t get enough Glad! 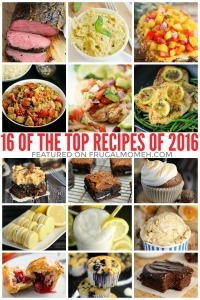 We have it for all our freezer meals and I need to try some of their other products. Glad products have been around forever it seems and that is all I use. I love the Press and Seal wrap for everything. My grandmother got me into using Glad products years ago. Thanks for sharing. I have always loved Glad. Their products are wonderful! I love all these storage options. I use the bags probably the most to store, and I do freeze berries when they are in season! Huge Glad fan over here. I stockpile and my freezer wouldn’t be the same without it! Plastic storage bags and containers are a must-have staple in my kitchen for sure! I love Press and Seal! I use it to line the shelves in my fridge for easy spill clean up. 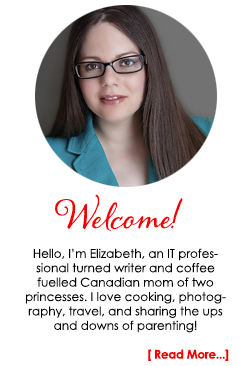 Hey, I have boys… they spill stuff. lol! I use GLAD just about everyday. I love their products! We’re definitely a GLAD family. Especially for freezing our raspberries. Glad has solutions for everything!